I wrote about our surreal dining experience at El Celler De Can Roca. But, I wanted to dive more into the menu items, for the true food lovers out there. Here is a recap of the over 30 different courses and bites we had during our 4 hour El Celler de Can Roca menu, in Girona Spain. We also include an update at the bottom about the El Celler de Can Roca Menu 2019. We chose the Feast Menu, with about 15 named courses. The other alternative is a tasting of their classic menu. The tasting menu is about 7 courses, where you have a choice for two of the courses. Of course, we went all in. The Can Roca Feast Menu with wine pairing. And, I did the best I could with photos considering the lighting, and I did not want to disturb the diners nearby. Bear with me. 2019 Update: This “World” presentation has been fairly consistent since our first visit to Can Roca in 2015. In 2019, they offer a similar concept but have changed the presentation to include a globe that is set on the table with the tasty bites surrounding the globe. There is also a “surprise” inside the globe. The ocean came next on the Celler Can Roca menu, with a brightly colored starfish, served on a plank, alongside a large silver coral shaped serving apparatus, seemingly growing up from the table. The starfish was unlike anything I’d eaten before and can only be described as tasting of the sea. The glittering silver coral included two different tapas. First, a mussel served escabeche-style, which is a common fish presentation along the Mediterranean. Escabeche is normally fish prepared in vinegar and often colored with peppers or saffron. In this case, it was slightly less acidic and prepared in an Albarinho wine from Galicia. But, it reminded me of boquerones, also served in tangy vinegar. Alongside the mussel was an octopus from nearby Maresme, cooked with peas. This is a very traditional Catalan dish as well. These last two tapas, again, are very traditional dishes in Catalonia. One of the best things to eat alongside a cold vermouth is a vinegary, almost pickled mussel. Octopus and peas are often served with pork or black sausage. I continued to enjoy the use of local ingredients to make a very traditional dish but in an entirely new way. After our tour of the sea, we enjoyed the famous Can Roca olive tree. On the menu, it reads “green olive ice cream.” But, they were hard frozen ice cream, flavored and shaped like olives, and then hung delicately on an olive tree. Each olive came on a tiny silver spike, engraved with the Roca brothers signature “R” with three feet, one for each brother. Each olive offered an explosion (a word I kept using while dining at Can Roca) of cool olive flavor. In this case, it was the sorbet palate cleanser of the Can Roca snack menu. 2019 Update: The Tribute to the Mediterranean has been a Can Roca specialty for many years, and is one of their signature dishes. Currently, they still offer this snack but have added crunchy tempura black olives to the tree. Our final two snacks on the Can Roca menu in included a truffled brioche, and a St. George’s mushroom bonbon. In this case, the tiny bonbon was hidden under a green moss. The bonbon was shaped like a mushroom and tasted like a mushroom, but was not exactly a mushroom. Instead, it had the consistency of chocolate. Looking for culinary adventure during a trip to Girona? How about a morning hot air balloon ride with brunch? Book this Volcanoes Hot Air Balloon Tour. Truffled brioche made with summer truffle and prepared in an Asian dumpling steamer. Again, I could have eaten a dozen of the truffled brioche. They were light and creamy. It tasted like warm comfort . . . with truffle. This dish is altered for the seasons based on which truffle is available for that season. Being a menu born out of the Costa Brava, there were a lot of fish courses on the El Celler de Can Roca menu. We started with white asparagus with ice cream, elderflower foam, and dried apricot, although not as beautiful as many of the other courses, being a white on white dish. The asparagus was tasty, and in season. The opposite to the white asparagus dish, the flower of onion (from nearby Figures) was visually stunning. It was served with comte cheese, with walnuts, walnut bread, and curry-caramelized walnuts. I really do not like onions, but I devoured every bit of onion before me. This was one of the more surprising dishes for me on the El Celler de Can Roca menu, mostly because I don’t like onions, but still loved it. This was a contemporary version of a French onion soup, with onions served in a bowl of strong cheese soup. This dish paired with a Manzanilla wine, a strong, unfiltered wine to offset the cheese and onion. Next, on the Can Roca menu came oyster with fennel sauce, black garlic, apple, seaweed, truffles, and lemon. In this case, a single oyster was sliced into 5 parts, each served differently. The oyster itself was tender and tasted like the sea. Langoustine with sagebrush, vanilla oil, and rose butter. The butter was so creamy, it tasted like a butter cookie. I practically licked the bowl clean. Mackerel with tempeh of “ganxet” beans, fermented beans from nearby Garrotxa. Each bean is fermented a different length of time, from 1 to 4 weeks. The darker the bean on the plate, the longer it was fermented. The goal is to eat the beans from light to dark. The mackerel itself looked like a beautiful shimmering snakeskin. The mackerel combined with the white beans is a very Catalan inspired dish. Although, the fermented bean also gave it an Asian-inspired flavor, similar to a miso. Cuttlefish with sake lees, black rice sauce, and fermented rice. The cuttlefish was essentially stuffed with the lees, or the residual yeast resulting from the fermentation process. The lees came from a sake actually made in Catalonia, in Lleida, from rice that has been polished in Japan. Although, the dish was served with a Japanese sake. Turbot with vegetables fermented in brine. This was the only disappointing dish of the entire 30 courses. The fish was prepared well, as were the vegetables. It was disappointing only in its, well, “normalness.” It just seemed out of place with the creativity of all of the other courses. The meat courses started with a slow-cooked Iberian suckling pig, with a salad of green papaya, Thai grapefruit, apple, coriander, chili pepper, lime, and cashew. Essentially Iberian pork, with a Thai twist. The dish exuded flavors of Spain, Thailand, and even Hong Kong. Next, lamb four ways. Charcoal grilled lamb consommé, with lamb’s tongue, vinaigrette, and lamb scratching with lamb brain and tripe. Essentially different parts, and different preparations, all of the lamb, and each entirely earthy. The brains? Smoky and creamy, and downright delicious. The final meat course. Pigeon civet and its parfait, stewed in wine and spices, along with a slow-cooked pigeon breast, and pigeon foie gras. Beautifully prepared, like artwork on the plate, as if the pigeons themselves were flying through the air. Rainy forest, distillate water, carob cookie, fir tree dust, ice cream of anise, wormwood, fennel, and fir tree and fir tree granita. Yes, it looked, and in some ways, tasted like the forest. When the distillate water was poured in, it created a crystal which stood up straight in the air. Orange colorology, made only with orange colored products, even including beetroot and carrot. One of the more beautiful desserts served on a decadent golden hued plate. We needed to break open the orb, to reveal the little bits of orange inside. The final dessert from the tasting menu was the Cuban cigar box, including chocolate with milk, whiskey, vanilla, dried plum, tobacco leaf, and cocoa. This course was paired not only with a sweet wine but also with a Panamanian coffee. Then, the dessert cartwheeled by, reminding me of a circus carnival. We choose a couple of different bites, and when we wanted a few more, even after 30 courses, our server happily complied. 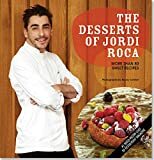 Learn how to make desserts from Jordi Roca himself! During our snacks, essentially the 16 starter courses before heading into the main menu, we enjoyed a few glasses of cava from nearby Penedes. The remaining 15 or so courses were each served with a wine selected by Josep Roca, and served by our sommelier for the evening, Robert. For the winophiles out there, here are the wines we tasted as part of the wine pairing menu. What I enjoyed most about the Can Roca wine pairing menu was the inclusion of many Spanish wines, as well as sneaking in an Emporda bottle too! For me, it was worth the price to try so many wines I never would have tried before. How often do we sit down to drink a 20-year-old Rioja, or a 17-year-old French Chablis? And, they stuck a unique sake in there as well! The El Celler de Can Roca Menu Price 2017: The Feast Menu at Can Roca was €205. The wine pairing menu was €90. That means a full Can Roca experience was about €300 per person. The classic tasting menu was €180, and €55 for the wine pairing. The price difference between the two Can Roca menus is not extreme. My advice: go for the Can Roca Feast Menu! The menu items included above are from the 2017 Can Roca menu. The menu changes regularly, based on seasonal ingredients, and whether the diner is a repeat guest of the restaurant. For example, in the winter, Can Roca offers calcots, a true Catalan experience. El Celler de Can Roca is located on Can Sunyer, 48, just outside of the city center of Girona, about 90 minutes outside of Barcelona. Reservations required, months and months in advance! Reservations open about 11 months in advance and sell out almost immediately. I will admit that we have not returned to El Celler de Can Roca in 2019. We will most likely return later this year. I have, though, received the inside scoop on the Celler de Can Roca menu for 2019. The benefits of living in Girona. El Celler de Can Roca Price 2019: The price increased for both the Can Roca tasting menu and wine pairings. As of March 2019, the Celler Can Roca menu, the Feast Menu, is €215 and the wine pairing is €110. Just a €30 increase over the 2017 Can Roca menu pricing. The Classic Can Roca menu is currently €190 and the wine pairing for the Classic menu increased to €75. During 2018, El Celler de Can Roca raised its standing in the World’s 50 Best claiming the number 2 spot, behind Massimo Botturra’s Osteria Francescana in Modena. Due to recent changes in the World’s 50 Best awards system, restaurants that ranked number 1 in the past will no longer be eligible to compete starting in 2020. Will be interesting to see how this works. As for the substance, the Celler Can Roca menu adjusts seasonally, but many of the dishes discussed above remain unchanged, at least in theory. It’s possible that ingredients will alter for dishes like the starfish, which remains on the menu. The World includes dishes from Thailand, Japan, Korea, Peru, and Turkey. Can Roca continues to have the starter that is an homage to the old family bar. Even dishes that have the same names as they did on for our Can Roca menu have either slight or major differences on the El Celler de Can Roca 2018 menu. Several dishes on the 2019 menu seem new, as well as all of the Jordi Roca desserts. Check out our post on the surreal experience of dining at Can Roca. Looking for More Luxury Experiences in the Costa Brava: Book a traditional Catalan cooking class (from $95), book a Costa Brava wine tasting tour (from $148), or a hot air balloon ride and breakfast over the mountains (from $237). Learn More About Ferran Adria: For more on Ferran Adria and his legacy in Catalonia and around the world, read Ferran: The Inside Story of El Bulli and the Man Who Reinvented Food , available on Amazon. 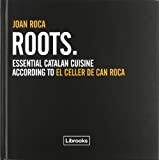 Learn More About Joan Roca: For more on Joan Roca, the Roca Brothers restaurant, and his contemporary Catalan cuisine, read El Celler De Can Roca , available on Amazon. You just don’t know how wonderful and helpful this read was. I will be spending my 40th in Sapin and have a reservation there in August, so this was extremely helpful! Enjoy! I hope it is amazing. If you have any Girona questions, let us know. We live there.